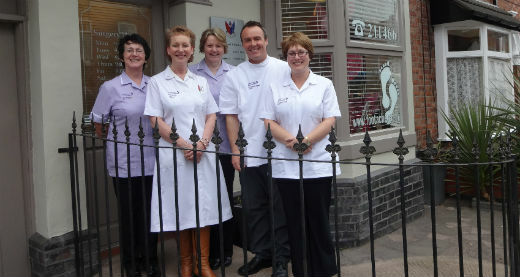 Welcome to Hollinshead & Associates, the largest and most established Chiropody/Podiatry practice in the area. With a team of experienced and proficient practitioners treating a large variety of foot pathologies, Hollinshead & Associates are the obvious choice for people with troublesome feet. Being at the forefront of the profession for over 24 years, embracing new techniques with the use of cutting edge equipment, and applying the latest research and recommended best practice, ensures that our patients are offered the most effective and comprehensive treatments available within the profession. 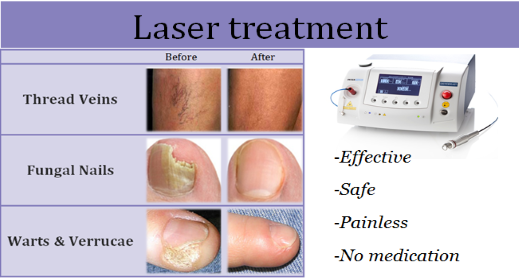 Our scope of practice ranges from routine footcare to surgical nail and skin procedures. For more details on specific foot conditions, and how we treat them, please browse our extensive portfolio of common foot complaints and specialist treatments. In addition to the foot conditions listed we can also diagnose and advise upon a large variety of Dermatological, Orthopaedic, Neurological and Vascular conditions that affect the feet. 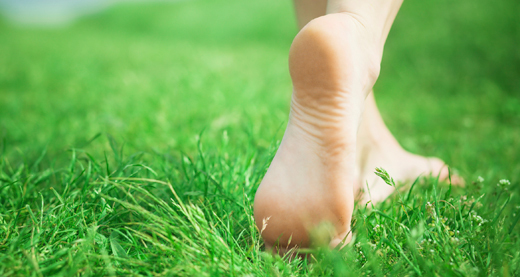 Regardless of the nature of your foot condition a visit to our Practice is the obvious choice. We have a team of experienced & enthusiastic practitioners waiting to put the spring back into your step! “One of the most rewarding aspects of our work is to see our patients walk in with a grimace and walk out with a smile on their face”. “We are committed to providing uncompromising excellence in the diagnosis and treatment of foot conditions”. Mrs Els Smalley, Practice Manager.